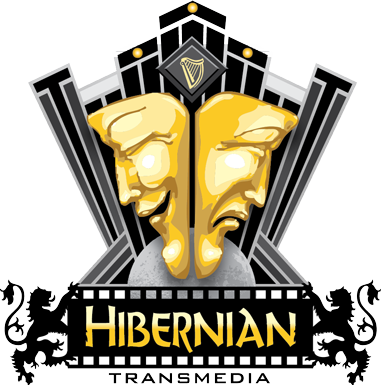 McCann’s Irish Oatmeal & Mike Haggerty Buick/GMC/Volkswagen present The Hibernian Radio Hour and this week has so much great content that we’ve decided to release the podcast ahead of the broadcast this week because we want everybody to see a particular film you’ll hear about later. First up though in our continuing genuflection to Irish First Responders is Terry Riley, a 30 year Chicago police officer, who did 19 years as a sergeant and retired as a Lieutenant. Terry’s family has 137 years of continued service with the police. Her great, great grandfather came on the job in Chicago in the late 1800’s. Terry tells us some great stories including this one, “When I told my dad I was going to be a cop, he gave me his blessings and his gun!” When her grandson worried that she might not come home one day, she told him, “Danny, I have lots of angels around me who take care of me.” She makes us proud to be Irish and from Chicago, thanks to Terry Riley. Then another retired lady cop, our long-time friend Eileen Guest joins us with fellow musician Jimmy Cloonan as they play a couple of tunes, including Houli’s favorite “The Fields of Athenry”. We finally play our interview with Patrick Murphy, the Mayor or County Cork, who visited Chicago for the parades last week, bringing a group of First Responders from Ireland with him for the craic. 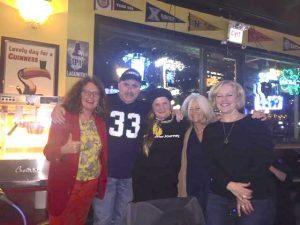 Then we meet a pair of filmmakers from Cork, Carmel Winters and Toma McCullim, whose film “Float Like a Butterfly” debuts this weekend in Chicago at the Gene Siskel Film Center. Go see this terrific film Friday night at 8PM or Sunday at 5PM and meet these fabulous ladies. The film is a rowdy but touching father-daughter love story of a young Traveler girl who idolizes the “greatest of all-time” world champion heavyweight boxer Muhammed Ali during the early seventies, when Ali came to Ireland for the first time. Carmel tells us, “Ali represented the classic underdog who made good”, and our young heroine Frances latches on to all of that as a young Irishwoman and Traveler finding her way in a very tough world. You gotta see this movie!